Come out to our October PTO General Meeting and hear more about the new WIN period from Mr. Baginski, Assistant Superintendent of Schools. Meeting info here. 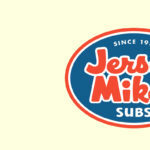 ← New Dine Out at Jersey Mike’s!